21st century works inspired by the Henu Barque? 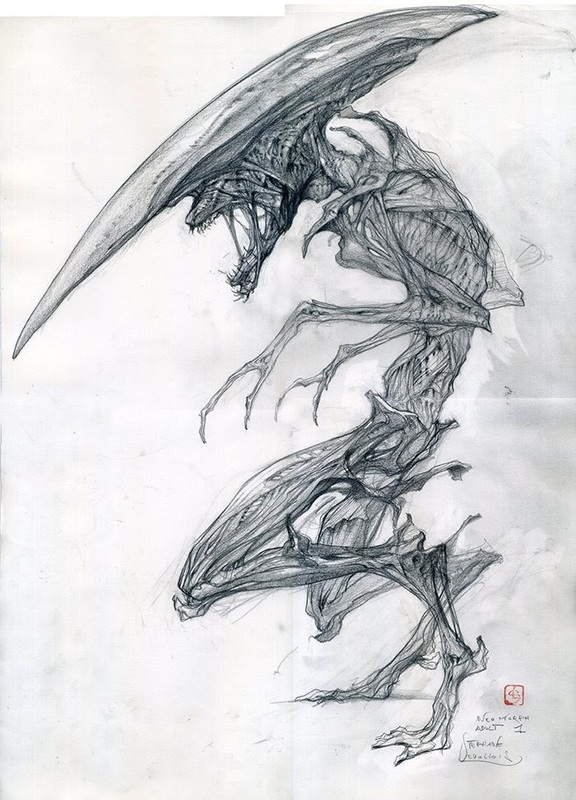 a) Stephane Levallois: Toute première proposition pour le design du neomorph en direct avec Ridley Scott "too much roots " he says. (Google Translation: The first proposal for the design of the neomorph live with Ridley Scott "too much roots" he says. 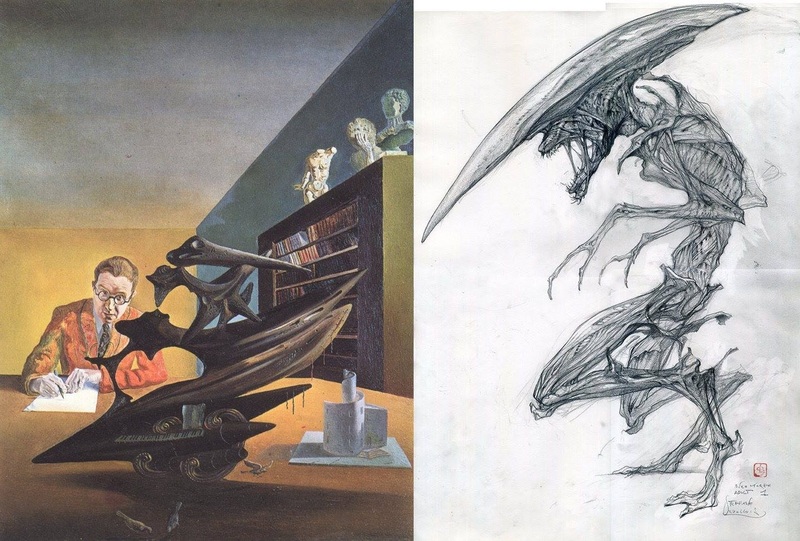 b.i) References Portrait of Emilio Terry by Salvador Dali? 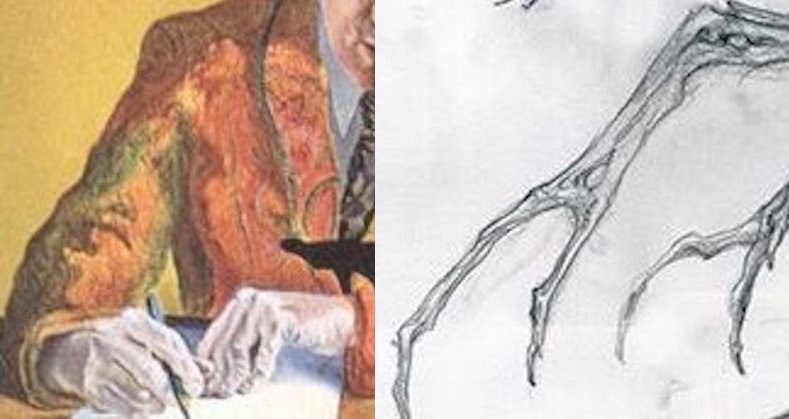 b. ii) Shadows on Emilio's arm and hands become the claws? b.iii) The lower half of the dark sculpture becomes flipped over to become the cranium? 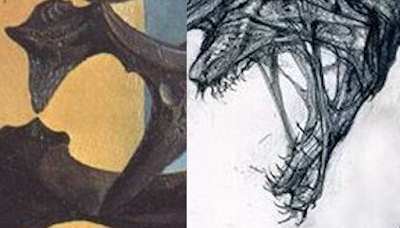 b.iv) Parts of dark sculpture with a negative space becomes the mouth? b.v) Lower half of sculpture with birds become the legs.